(Quotes in brackets form part of The Paper Therapy Manifesto 2014). I’ve always been a bit of a writing geek. At secondary school I went to great lengths to design fabulous cover for my history projects as well as illustrating all my content, which always earned me straight A’s in the subject. In the last few years much of that passion has resurfaced in the creation of a series of manifestos. Manifestos help me to get to the roots of why a particular practice or activity is of value. Then by turning it into a manifesto it becomes a powerful written reminder of why the topic of your manifesto matters. That’s why Paper Therapy has become the fourth in my series of Manifestos. The first three were: The Writing Manifesto, The Creativity Manifesto and The Nature Manifesto, which you can download for free by clicking on the links. The new hot off the press Paper therapy Manifesto is a call to the magnetic practice of journal writing based on my belief that (Writing changes lives and lives are changed by writing). I’ve been journal writing for over 26 years. I started writing regularly in a journal a year or so before my daughter Aida was born. Over the years journal writing has helped me through various bouts of depression, a serious broken heart, a meltdown around my career, financial hardship and the high’s and lows, swings and roundabouts of daily living (Paper Therapy is Transformative. Writing helps to clarify and better understand difficult feelings and emotions). The practice of journal writing has become both a daily ritual and a place where the quiet practice of journal writing returns me every time quietly to myself. It’s where I get to express myself, to hear and listen to my inner voice and not get carried away by the hustle and bustle of the world around me (There are moments in Paper Therapy when your words are healing and revealing). I find the regular practice of journal writing both therapeutic and calming. It takes me out of the roller coaster world of the busy mind and transports me into the world of quiet mind in minutes (Paper therapy involves writing mindfully. You slow down especially when you write by hand). Sometimes I write loads in my journal, flushing out all the toxins and negativity from my day. On other days it’s just a sentence or two to remind that I’m still here. Most of the time because of it becoming a practice the page is alight with ideas, musings, seeds of thoughts and possibilities about life and work (When you write honestly and from your heart Paper Therapy connects yourself and others from a deep place of truth and authenticity). 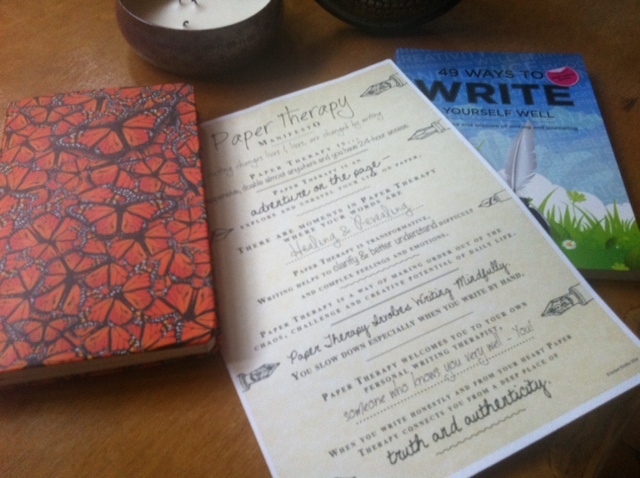 (Paper Therapy is an adventure on the page – Explore and unravel your life on the page). In-between jottings of deep reflective thoughts and inquiry you’re just as likely to stumble across a shopping list with items like cod and potatoes. The sacred and the routine sit side by side. There’s no showing off or points to prove in the journal (what’s the point), only showing up. We get to show up, as we are. If we’re brave enough and honest enough, we show up sometimes naked, without the buffing up, the job title or choosing the option of hiding behind material possessions. Instead it becomes just you and the blank page, (Paper Therapy welcomes you to your own personal writing therapist, someone who knows you very well). The writer Flannery O’Connor said, “If we survived childhood then we have enough material to last a lifetime.” Put this together with some wise words from Ernest Hemingway, “ The world breaks everyone and afterwards many are strong at the broken places,” so the fact that you’re alive means you have enough material to write about in your journal or notebook to last you a lifetime. This is a brilliant example of where an organization has embraced the practice of #papertherapy. Think about what and how our schools would be different if students were given 7 minutes at the start of the school day to getting their feelings down either digitally or on paper in a session rightly named #PaperTherapy. How much more and aware and in tune would our teaching staff be all round if permitted to do the same? Think about the conflicts, the bullying and harassment that would be eradicated workplaces if people learnt the rules of engagement with the blank page that showed them how to take ownership of their own emotions and feelings (Paper Therapy is a way of making order out of the chaos and challenge of everyday life). Think about how much money and pain would be saved in divorce settlements and child custody cases if parents and families learnt how to make paper therapy a way of family life? Prescriptions for anti-depressants in the UK has increased by 495 percent since 1991 (Huffington, 2013). What if GP’s handed out paper therapy prescriptions instead of tranquillizers or encouraged patients to put pen to paper? And what if Dr’s self -prescribed some of the same paper therapy as they prescribed to their patients? What if healing and restorative poems from across the ages and modern times were available free of charge on the NHS? Numerous research is indicating that reading poetry creates new neural pathways in the brain. Paper therapy works for me however it doesn’t make my life perfect. I still have to deal with messy stuff like everyone else does. I make mistakes, get things wrong and piss people off! But perhaps this quote from the book, The Pen and The Bell: Mindful Writing In A Busy World will give you a better understanding of how journal writing has contributed to me becoming a much better person in my life than the person I would have been had I not embraced it as a practice. Writer Kim Stafford likens writing to playing the violin. He says that a violin played everyday will keep the vibration of the music in its body, even while lying still and silent. 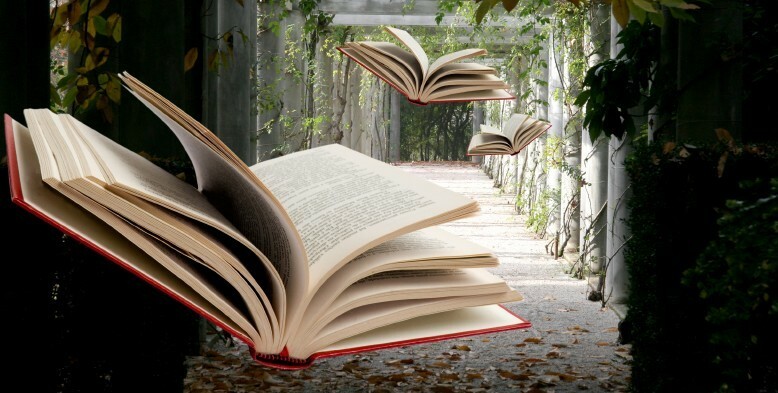 If it is not played everyday the vibrations dissipate and the wood grows lifeless.” Journal writing gives my life vibration. The other aspect of journal writing I wholeheartedly appreciate right down to the bones about it as a practice and a way of life is how I have grown to love fiercely the woman who has inhabited the thousands of pages of journals and notebooks that I’ve filled. My Paper therapy journey has been like a seed planted in the earth. Every word, every paragraph and every line has been turned over and mulched into the fabric of my daily life. The pages of my journal have been the earth and the soil in which I have grown. Each journal from cover to cover has watered my life. Nothing I’ve written has been wasted. When I don’t write regularly, when writing is not at the core of my life it feels as if I’m skimming over the surface of life. When I write often and regularly I’m noticing how my hunger for the things in life that are addictive and unhealthy is greatly reduced. My digestion of everyday experiences is clearer and more of a felt and lived experience when I write. Through the paper therapy journey I’ve grown to accept and not reject the woman I have blossomed into warts and all. Welcome to #papertherapy. Let the writing and the inside out change process begin. I want to be part of a revolution on the page knowing that (writing changes lives and lives are changed by writing). Will you join me? If you are inspired please feel free to spread the word and share the love.